> Which Electrical Outlet Should I Use? Which Electrical Outlet Should I Use? Trying to choose between which electrical outlet you need and which one you want can be difficult. Do you want to be safe and simple with a GFCI outlet, update your home with a USB outlet, or be technologically advanced with a smart outlet? The possibilities are endless, so hopefully this guide will provide some assistance. A single outlet features one receptacle. Depending on the type of single outlet you purchase, the electrical outlet can be tamper resistant (TR), weather resistant (WR), or even a combination of both. These electrical outlets can be used on a single branch circuit or with other outlets on the same circuit and are great for both commercial and residential use. 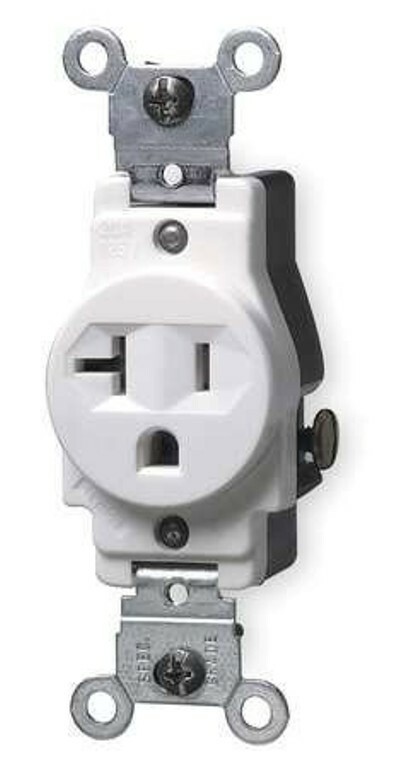 Single electric outlets can work for both a 120V single outlet for small appliances, such as a power tool, or 220V outlet to connect an AC unit. A duplex outlet has two receptacles to use for power. 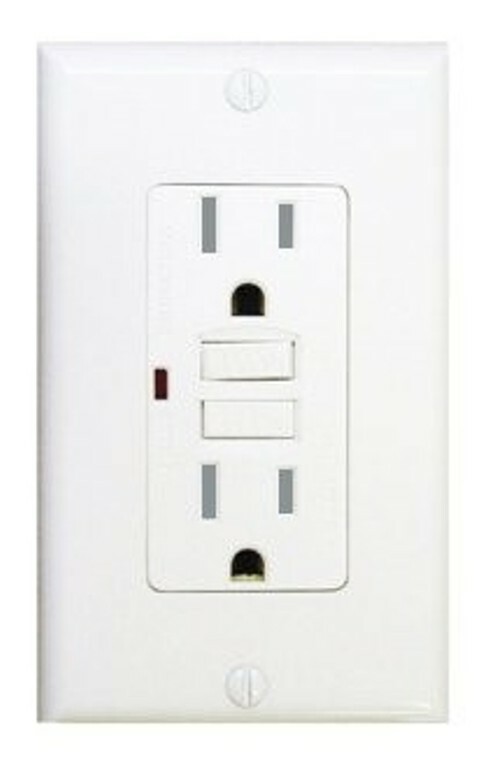 A duplex receptacle outlet is very similar to a single outlet where it can be TR, WR, or both! Duplex receptacles have different amperages and can handle different amounts of power, so make sure to pay attention to the “Amps” your outlet can handle. A duplex outlet can also handle different voltages (V), whether you need 125V for your washing machine or 250V for your electric dryer. Duplex Receptacle and decora outlets are typically impact and rust resistant to meet NEC safety standards. Most outlets are made of a heavy-duty thermoplastic and can typically fit into existing wiring boxes for an easy installation process. A GFCI outlet is the most popular and the most safe electrical outlet for both residential and commercial locations. 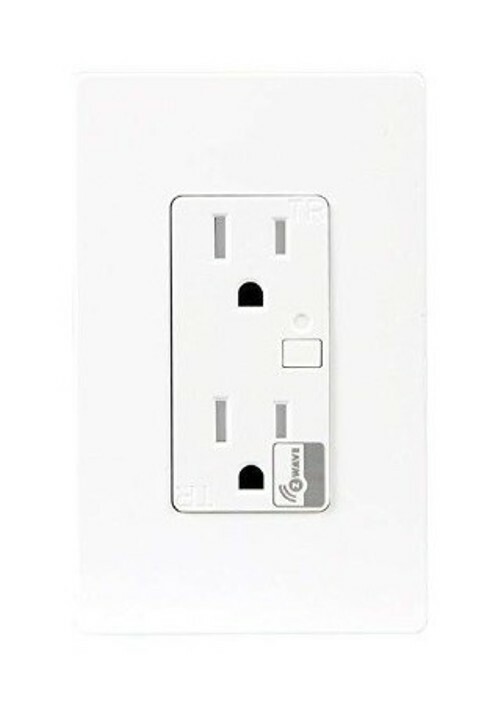 The GFCI outlet is designed to quickly turn off the outlet’s power when a short circuit or ground fault is detected. These tamper resistant outlets fall in line with the 2017 National Electric Code regulations and are the perfect replacement to any duplex receptacle. Living in the smart age where USB plugs are everything, it only makes sense to install a USB outlet. The integrated electrical outlet is very convenient and easy to install! You can find a combination outlet of USB and regular outlet receptacles or an outlet with only USB ports. 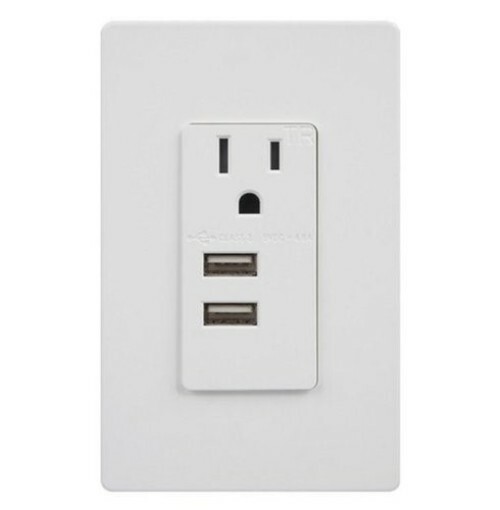 If you don’t want to do any electrical work, you could always purchase a USB wall charger, but it might be more convenient in the long run to install the USB wall outlet. Speaking of smart products, a smart outlet is one of the most convenient and high-tech options! A smart outlet is just like a regular outlet, but you can control it using your smartphone or other smart devices! The smart outlet is highly convenient because it can be turned on or off from just about anywhere! Installing these outlets will also require you to upgrade your home with a smart home hub, but it will be worth it! A smart outlet can connect to WiFi or Z-Wave devices to help control the outlets depending on which version of the outlet you purchase. This WiFi outlet is a perfect replacement for normal outlets because it connects with other smart devices and can be controlled on the main network. Light switch outlets are nice to have when you are trying to control the power of an outlet by turning it on and off at your convenience. The light switch outlet normally is a combination of a light switch and a single outlet that can be turned on and off. This is nice to have because you can leave something plugged into the outlet at all times, but it won’t be using power when turned off. Some people also use these outlet combinations to plug in extension cords to help control power output. 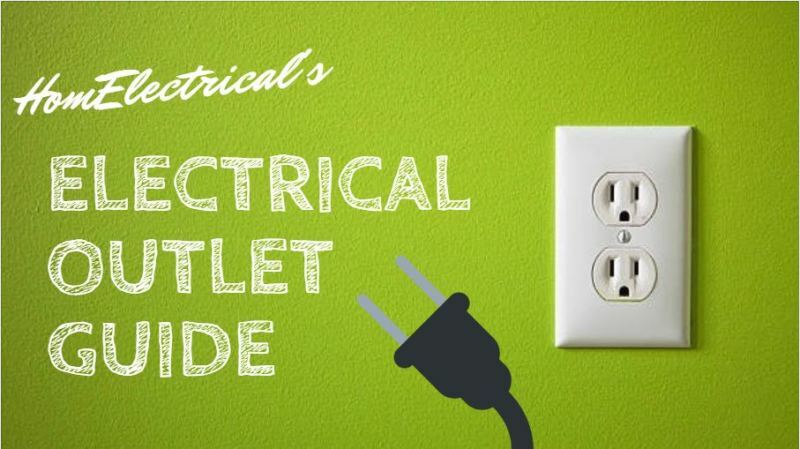 There are a lot of different electrical outlets that you can choose from, so make sure you are buying one that has the amperage, voltage, and protection you need! Which outlets do you think are the best in your home? What about for your business? Make sure to let us know in the comments below, and don’t forget to connect with us on Facebook and Twitter! Why is my GFCI outlet tripping?